Keeping your home efficient is one of the most effective ways you can reduce your energy bills and save a considerable amount of money. A home energy audit is a great way to spot inefficiencies in your home’s energy use, and can be fairly easy to do on your own. 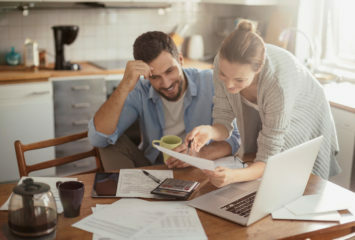 Below, we address why an energy audit is so useful, and we offer a do-it-yourself energy audit checklist to help you start saving money immediately. It’s easy to waste energy through unnecessary electricity use, inefficient cooling, or lost heat from poor insulation and sealing. Older homes are great candidates for energy audits since they’re much more likely to have gaps in heating and cooling efficiency than new homes. However, even newer homes are sometimes constructed with outdated building techniques. An energy audit can identify the areas of energy waste in your home so you can make repairs and upgrades as needed. 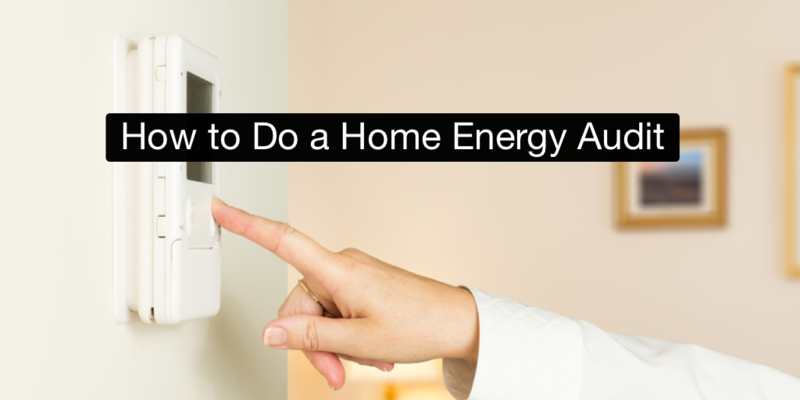 Professional home energy assessors use specialized equipment and infrared cameras to analyze your home’s energy use, but you can still perform some energy auditing steps without a ton of equipment. To complete your own energy audit, take the following steps. Inspect appliances. Check your cooling appliances or central air conditioning system annually for any issues. If your system is more than fifteen years old, an upgrade to a newer energy-efficient system could greatly reduce your energy costs. Examine your ducts. If you use central air, check for any air leaks in duct seams and joints. Dirt streaks around ducting can indicate air leaks, which can be sealed up with duct mastic or professional-grade duct tape. Check windows and doors. Look for air leaks around doors and windows. Small gaps can allow warm or cold air in from the outdoors, forcing your air conditioner or heater to work harder. Monitor hot water use. Gauge how much hot water you use on a daily basis and cut down your usage as much as you can. Low-flow showerheads help, and water-saving habits like running only full loads through washing machines and dishwashers can also reduce energy use. Your home’s insulation and sealing could be costing you hundreds of dollars per year in heat loss and cooling inefficiency. Be sure to inspect your home for potential insulation gaps and poor sealing. Examine uninsulated spaces. Heat loss occurs when there are gaps in your insulation that allow air movement from the outside. Check for air leaks wherever two different building materials meet and at the junctions between walls, floors, and ceilings. Plumbing fixtures, electrical outlets, and light switches can also let in cold air if not sealed properly. Check your attic insulation. The standards for insulation are higher today than they were several decades ago. Older homes often have inadequate insulation, which can greatly inflate your energy use. Check for insulation gaps around pipes, chimneys, ducts, and entrances or hatches. Use expanding foam insulation to seal up any empty spaces. Inspect your wall insulation. Evaluating the insulation in your walls is difficult to do without professional thermal imaging equipment. Drilling a small hole where it won’t be noticed is one way to check for insulation, or you could investigate through the holes behind electric sockets—just be sure to turn off the electricity for safety. Use a crochet hook, a long stick, or a screwdriver to see if you can feel or pull at any insulation. While this can help you determine if insulation is present, it won’t tell you if the insulation has settled or if the whole wall is insulated. Insulate your floors. Floor insulation is recommended for any homes with uninsulated basements or crawlspaces. Check if your floors are adequately guarded against heat loss with a minimum insulation rating of R-25. General electricity waste is a major contributor to residential energy inefficiency. A home energy audit is the perfect time to consider your usage habits and identify potential sources of electricity waste in appliances, lighting, and other items. Through some very simple lifestyle changes, you can cut your energy use considerably without spending a dollar. Evaluate your light usage. We’ve all done it—you’ve left the house, but your living room lights are still on. Of all home electricity, 5% is dedicated to lighting.3 Simply turning out your lights before leaving a room can help cut costs considerably, so take note of how many lights you leave on throughout the day. Consider using timers or automatic lights wherever possible to help prevent waste. Assess your light bulbs. LED bulbs use a fraction of the electricity traditional incandescent bulbs use. Upgrading your lightbulbs can seriously reduce your electricity use. What’s more, many utility companies offer free bulb replacements through state-funded retrofit initiatives. Examine television and computer settings. Most modern entertainment systems and computers have a sleep function. Be sure to enable these so your TV and computer turn themselves off when not in use. Check for outdated appliances. When you’re auditing your home’s energy use, check for out-of-date appliances like aging refrigerators, dryers, and dishwashers. Outdated large appliances can waste quite a bit of electricity compared to newer ENERGY STAR–rated models. An upgrade can save you a lot in the long run. Unplug unnecessary appliances. The myriad of small appliances we all have scattered throughout our homes can continually draw energy—even when they’re switched off. Unplug stereos, phone chargers, hair dryers, and fans when they’re not being used to prevent waste. Determine if solar works for your home. A solar system can help offset your energy use with every hour of full sunlight. Check to see if your home has the right setup for efficient solar panels. When conducting a home energy audit, consider a few safety precautions to keep yourself and your family safe. Many older homes pose hazards to your health, and it’s not always obvious when there’s danger. Check to make sure all of the vents and exhaust ducts in your home are unobstructed. If you’re checking your insulation, wear a ventilator and all proper safety equipment to avoid exposure to fiberglass or asbestos. And again, be sure that any electrical sockets are fully disconnected and tested before using them as access points to check insulation. Conducting a home energy audit yourself can greatly improve your home’s energy use, and it’s a good way to become familiar with your household’s energy use habits and your home’s potential areas of improvement. A professional energy assessment can offer an even more comprehensive look at your home’s energy usage. Whether you live in a newer or older home, it may be worth your time to hire an assessor. Using special equipment like blower doors and infrared cameras, a professional assessor can identify air leaks, insulation gaps, and cold spots with greater accuracy, letting you prioritize any upgrades. Their techniques are especially useful for finding settled insulation inside walls, gaps in attics or crawlspaces, and drafts between floorboards or mortar walls. Check with your local utility company first to see if there are free auditing services available in your area. If there’s no free option available, a DIY home energy audit is an excellent way to reduce home energy use and achieve a lower monthly energy bill. Solar panels can also reduce monthly energy costs by quite a bit. Check out our other posts to learn more about how solar power can benefit you and your household. You can also plug your utility bill into our convenient solar savings calculator to see how much solar power can reduce your household costs. I have been living in my house for 20 years now and I have been thinking that I am wasting a lot of energy. With simple lifestyle changes, I would be able to cut down my use of energy. Thank you for this helpful article! Your suggestion about LED light bulbs is very helpful. This article is great, especially coming from a solar energy protagonist; most people assume that since the sun is renewable, energy generated from it can be utilized in any manner. It’s great this debunks the theory that that kind of wastage is okay. Great Job!